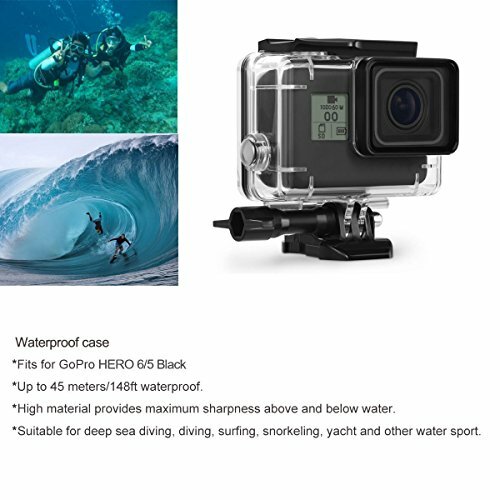 Waterproof housing case: ONLY fits for GoPro Hero 7 Black/ Hero 6 / hero 5 / Hero HD (2018). High transmittance material provides maximum sharpness above and below water, up to 45 meters waterproof. Suitable for deep sea diving, diving, surfing, snorkeling, yacht and other water sports. Please kindly note that it is Not suitable for GoPro Hero 7 Silver/ White Edition. 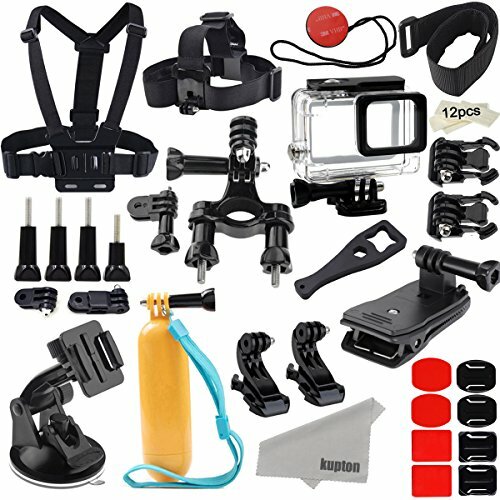 Purchase Kupton Accessories for GoPro Hero 7/6/ 5/Hero (2018) Action Camcorder Camera Accessories Mounts Waterproof Case Chest Head Strap Bike Car Backpack Clip Mount for Go Pro Hero7 Hero6 Hero5 at Discounted Prices ✓ FREE DELIVERY possible on eligible purchases. 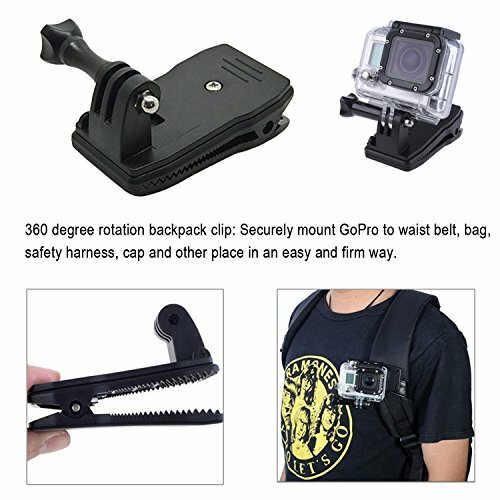 360 degree rotation backpack clip: Securely mounts GoPro to waist belt, bag, safety harness, cap and other place in an easy and firm way. 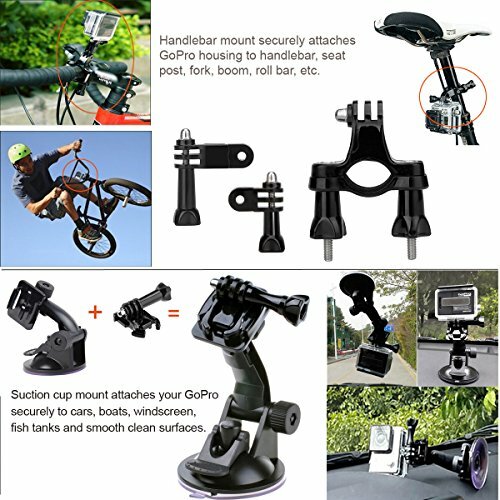 Compatible with GoPro Hero 5 Session/ Hero Session/ Hero 5 4 3+ 3 2 HD. 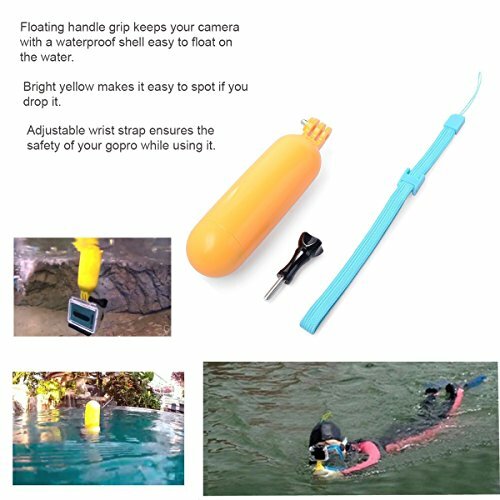 Floating handle grip is designed to keep your camera with a waterproof shell easy to float on the water. Bright yellow makes it easy to spot if you drop it. 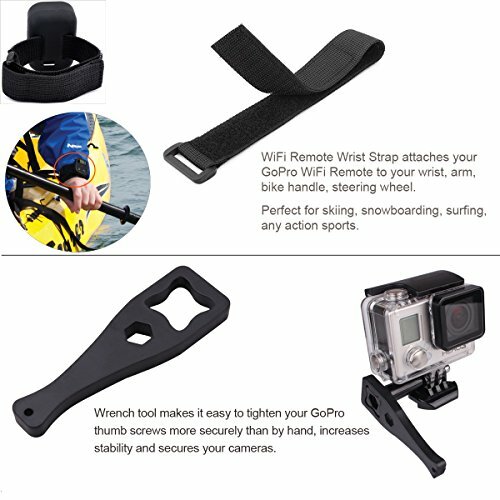 The double protection design of adjustable wrist strap ensures the safety of your GoPro while using it. 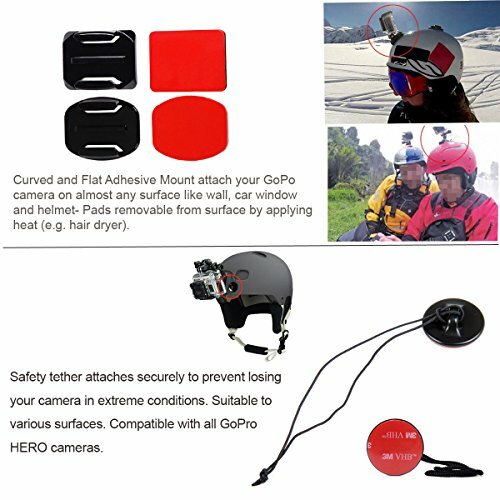 Suction cup + buckle: attaching your GoPro securely to cars, dashboard or roof, boats, motorcycles and more industrial Strength. This is an essential gadget for anyone watching or photographing subjects from their vehicle. 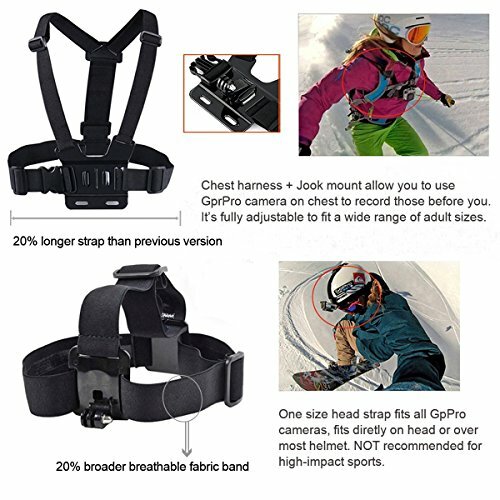 Chest harness mount allows you to use the GoPro camera on chest to record those before you. It's fully adjustable to fit a wide range of adult sizes.